when it comes to power and energy the hgb-15aax3(btr2260b) pcd replacement is the king of cordless phone batteries. manufactured using state-of-the-art equipment and the best materials, the hgb-15aax3(btr2260b) is the best choice at the best price. as well, pcd's original specifications for this product have been equaled or exceeded in performance. our huge inventory and extra low pricing make us the choice for batteries - batterytex.com. 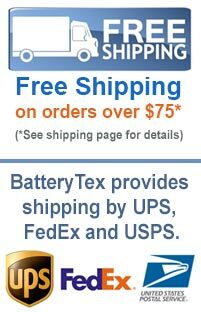 batterytex.com - your one-stop shop for replacement batteries, chargers and more. drop us a line with any questions or for bulk discount information at 1-888-825-6661. we look forward to hearing from you! if you want to find more cordless phone batteries batteries for your gear? click here! click here to view our entire stock of items for pcd products. using updated materials, manufacturing techniques and modern technology today's batteries provide greater benefits from increased life-spans to decreased costs. if you want to find the warranty information and timing on a particular battery please contact us.